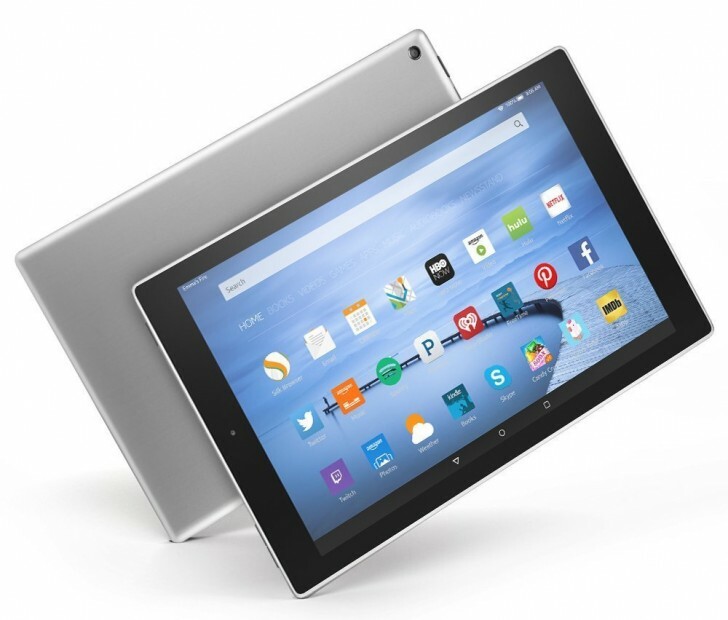 Amazon spruced up its Fire HD 10 tablet with a new Silver Aluminum option. The metal option is priced the same as the Black and White plastic incarnations of the tab. Also, there's a new storage option - 64GB - that is available with the aluminum shell only. That one costs $290 with special offers, $305 without. The cheapest option is the 16GB model (there's a microSD card slot) for $230 (with special offers). 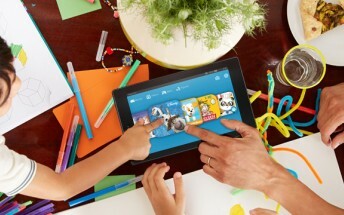 Other than finish and storage, the specs of the Amazon Fire HD 10 have not changed. It has a 10.1" screen with 1,280 x 800px (149ppi), a quad-core processor with 1GB of RAM, Dolby Atmos stereo speakers and a 5MP/1080p camera. The Silver Aluminum Fire HD 10 is available on Amazon US, Amazon UK, Amazon DE and other local versions of the site.